Considering the huge reader response whenever I mention that the most inexpensive shampoos can actually be good for your hair, but not so for hair conditioners—a follow up post is in order. Unfortunately, conditioners are not quite as simple as shampoos. First, we need to demystify the term “conditioner.” It is a vague term that refers to a wide range of hair products designed to make hair more manageable and also treat common hair problems. Conditioners fall into four general categories according to what they do and the problems they solve: moisturizers, reconstructors, acidifiers and detanglers. Using the wrong product for the specific condition of your hair will produce disappointing results. For example, if your hair is thin and fine you are not going to be happy with my industrial-strength conditioner for thick, coarse, frizzy, color-treated hair! While the specific products I am about to mention to you are available readily in supermarkets and drug stores, the prices quoted are for Amazon, at the time of writing. ACIDIFIERS put acid on your hair and it’s OK. It’s a good thing for hair. When a product carries a pH of 2.5 to 3.5 it is considered an acidifier. This pH will close the cuticle layer of the hair resulting in shiny, bouncy hair. Acidifiers do not “weigh down” hair but rather create shine and add elasticity. The answer for fine, dry hair that has been damaged by chemicals or harsh environmental factors is a product like Joico Acidifer Chemical Enhancer (about $4.50 or $.45/oz). Nearly every line of hair care products includes a wide range of conditioners, with at least one in each of the categories mentioned above. You will find many good choices right at your supermarket. 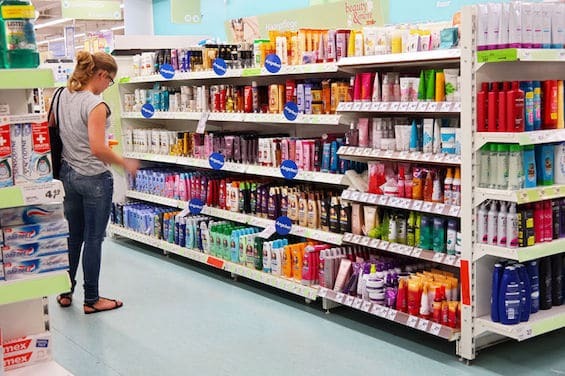 The most cost-effective way to buy good-quality, name-brand hair conditioners is to collect hair product coupons from the Sunday newspaper inserts and then wait for the brands you prefer to go on sale, so you are matching up coupons with sales. My personal favorite conditioner is Pantene Pro-V Color Revival. When it goes on sale and I have coupons, I load up. The regular price is about $8 for 20 ounces. The last sale was 3 for $15. With my three $1 coupons, that brought the effective price to $12 or about $4 each. See what I mean? Inexpensive! Infusium23 makes an excellent line of conditioners that are available in most supermarkets. When I have coupons and this line comes on sale, I’m an enthusiastic buyer. Some beauty supply stores are open to the public and sell conditioner for less than $10 a gallon. While that’s a good deal, it’s also a lot of conditioner, so before you jump on it make sure it’s compatible with your family’s hair needs. “My all time favorite conditioning spray, which is a leave-in that you spray into clean, towel-dried hair, is a professional product called Biolage HydraSource Leave-In Tonic by Matrix (about $14 or $1.00/ounce.) This spray-in, leave-in conditioner can be used daily. C.C.’s Rule of Thumb: Conditioning spray: leave-in. Balms or cream rinses: always rinse out completely. DIY CONDITIONER. Many readers, including a couple of hair professionals I know, insist that the best way to deeply condition your hair is to put a liberal amount of regular (not low-fat) mayonnaise on it, then put on a shower cap and spend an hour in the sun. Wash out completely. I have yet to try this myself. DIY “HAIR RID.” While shampoo will not build up on your hair, conditioner and other styling products will. You can purchase pricey “clarifying” products to remove this build-up, or simply use a teaspoon of baking soda (bicarbonate of soda) mixed in your palm with your favorite shampoo every few weeks. Shampoo as usual and rinse thoroughly. The baking soda helps remove the build-up of conditioners, mousses and sprays to give you naturally clean hair. Follow with your conditioner of choice.